GDPR (General Data Protection Regulation) is without a doubt, the most important change in the world of data in 20 years. 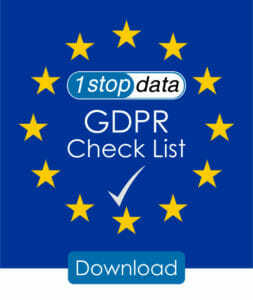 This major overhaul of legislation has got a lot of businesses worried, but RELAX… 1 Stop Data can provide the practical help you need to ensure your compliance. We’re at the forefront of global data, we understand how to combine compliance with data enhancement and we understand you cannot afford to do one without the other. Whether you want data enhancement, cleansing, full data management or just a notification service, we can provide as much or as little as you need. Not only can we help you become GDPR compliant, we can also help you maintain your data going forward. There is a lot of information and mis-information out there about GDPR. 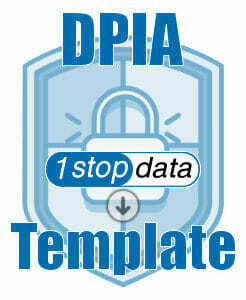 1 Stop Data has worked with data for over 17 years using the highest standards of data processing, data auditing and communications. As such we are working closely with the ICO and DMA, and we are in a strong position to help our clients to help ensure compliance, maintaining quality, and also help improve ROI. Contact Us today regarding our GDPR services. - Please Select -Yes, we've done itNope, not yetEeeek!... What's that?